Fox News continued its transphobic attacks on Private Chelsea Manning, deriding her fight for hormone therapy as a bid for "special treatment" and suggesting that "he" had "already cost us enough" while ignoring expert opinion that hormone therapy is essential for transgender people. The Pentagon reportedly is drawing up plans to transfer Manning, currently serving a 35-year sentence for leaking documents to WikiLeaks, from a military to a civilian prison. In a civilian facility, Manning - formerly known as Bradley Manning - would be allowed to receive hormone therapy. 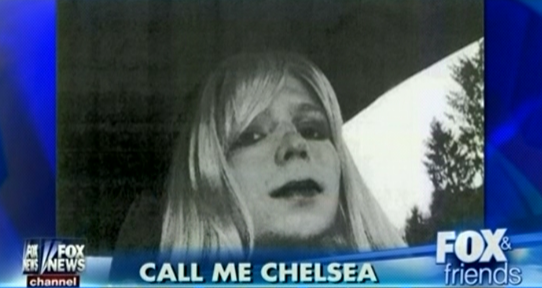 Fox Mocks "Male" Chelsea Manning As A "Gender Bender"